Jay Cooke at the Clarkhouse Hotel? 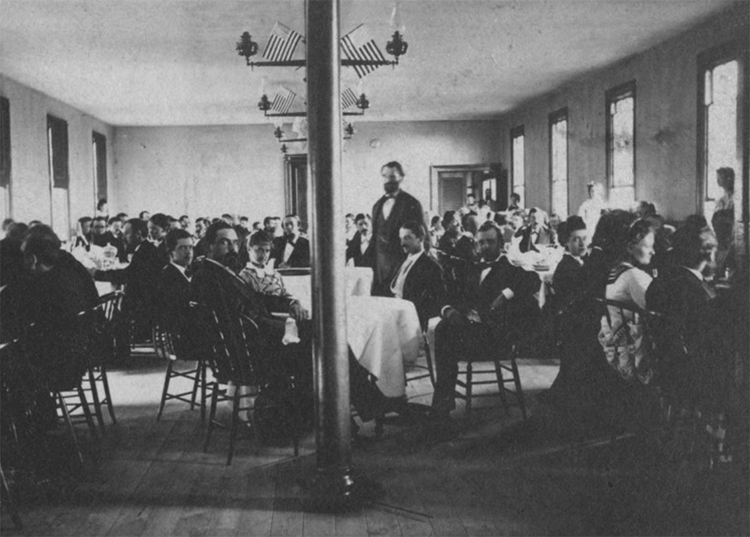 The photo above allegedly shows Jay Cooke meeting with Duluth businessmen in the Clark House Hotel in the early 1870s. It is true that Cooke had a great deal to do with the Clark House: he paid for its construction, and its name came from the E. W. Clark brokerage firm in Philadelphia, where Cooke began his career in finance. But Cooke visited Duluth just once, in 1866, at least four years before the Clark House was constructed. In 1871 it was quite fashionable for men to wear long beards, and Cooke was no exception; but that is little evidence for his “presence” in the photo. The person identified as Cooke could have been any number of people, including George Sargent, Cooke’s agent in Duluth and the man behind the construction of the Clark House. Cooke visited Duluth only a handful of times, and you can read about them here.